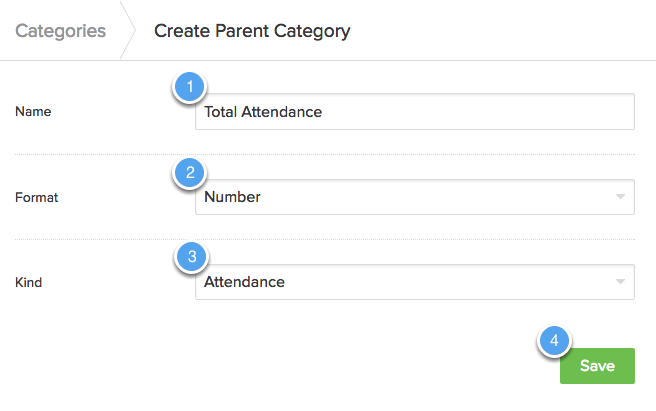 Parent Categories can help you view groups of related data—read more here. Learn how to create a Parent Category below. 1. Name your Parent Category. This must be a unique name and can&apos;t match another category name. Select the format you want the number displayed in. Select the kind of category. If the Parent Category was created properly you will see a success message and the category will now be in your categories list.